Home to the only medical and dental schools in the state of Maine, the University of New England (UNE) serves a unique need that stretches far beyond the northeastern United States. This private institution attracts students and scholars from around the world to its 25+ health-science programs, including pharmacy, social work and nursing. UNE also offers graduate and undergraduate programs in life sciences, business, education, humanities and more. Like many universities, UNE has worked tirelessly to adapt to today’s global and virtual professional world. Although the school has two physical campuses in Maine, nearly half of its students are enrolled in online degree or certificate programs, and more than 50 percent are off-campus at any given time, often due to clinical rotations. “Because of our non-traditional campus environment, UNE was an early adopter of digital library resources,” said Stew MacLehose, Associate Dean of Library Services for UNE. A librarian at the university since 1999, he’s been instrumental in building an ebook collection that continually evolves with the changing needs of the student and faculty community. 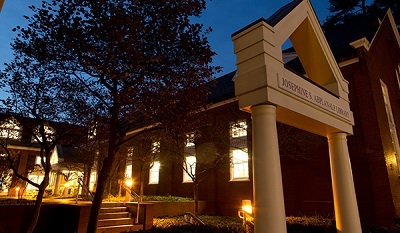 The UNE library serves a population of more than 8,200 students – 71 percent of them enrolled in Master’s, Doctoral or Post-Baccalaureate programs. 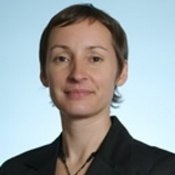 MacLehose is responsible for maintaining the UNE library’s electronic resources and leads the team that makes collection development decisions and responds to student and faculty requests for electronic resources. For his institution, “access is more important than ownership,” MacLehose said. His library owns just over 1,000 ebook titles from ProQuest, but students and faculty have continuous access to more than 1.3 million electronic resources, including ebooks, journals and streaming video. The library uses ProQuest’s Ebook Central platform (in addition to other ebook vendors), which offers a variety of acquisition models that enable not only broad access, but the ability to make smart, well-informed purchase decisions based on usage. Over the past few years, the UNE library has been on a journey to tailor its acquisition strategy to one that best serves its patron community and its budget. A customer of ProQuest ebooks since 2012, the library acquires titles through a combination of subscription, firm orders, DDA, STL – and, most recently – ATO. ATO, launched by ProQuest in 2016, enables libraries to grow their ebook collections by applying spend on loans toward perpetual purchases, so the money they spend on loans goes toward ownership rather than just on access. UNE found that ATO-triggered purchases were significantly more affordable than other acquisition models they were using, enabling them to optimize their budget and provide their patrons with access to more titles. 100 percent of titles purchased through DDA/STL and ATO were used at least once within 24 months. 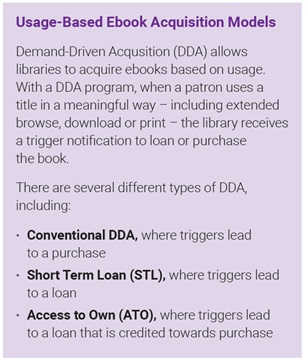 ATO-acquired ebooks were purchased fastest, with an average 50-day purchase trigger versus a 90-day trigger for books acquired through DDA/STL. Key ATO titles had the most repeat use, resulting in an overall lower cost-per-use value (see chart above). In addition, ATO and DDA/STL have benefited the library qualitatively. With its automatic triggers and customizable settings, librarians can now trust Ebook Central to do the work. Get more information on Ebook Central and its flexible acquisition models.